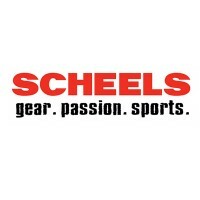 Scheels is an employee-owned company that offers sporting goods. Some of their products are gear and apparel for hunting, fishing, camping, and cycling. They also offer items for sports such as basketball, baseball, and golf. The company was founded in 1902 by Frederick A. Scheel. He used his $300 from his potato harvest to construct a small hardware and general merchandise store in Sabin, Minnesota. Over the years, the company grew and developed. Currently, the company has 27 stores in 12 states across America. Their corporate office is located in Fargo, North Dakota. They also have around 6,000 associates in all their stores. The employees of the company receive various benefits. Included in their benefits packages are a 401k retirement plan, paid time off, holiday pay, health insurance, dental insurance, wellness incentives, Employee Stock Ownership Plan, Employee Assistance Program, and scholarships. People love working in the company because it gives them the opportunity to grow professionally and earn a living. They also hire based on talents and skills and not on race, gender, or religion. How old do you have to be to work at Scheels? Interested applicants must be at least 18 years of age. They don’t accept minor workers in the company. They also accept those applicants who graduated at least from high school. Archery Bowtech: The Archery Bowtech must be able to provide quality customer service in the repair and maintenance of archery bows. He must be knowledgeable about the items offered by the store. Also, he must have good communication skills so he can answer questions from the customers. Assistant Store Leader: The Assistant Store Leader must have good communication and organizational skills. He must assist the Store Leader in managing the team. He must help in driving sales and profit in the stores. He must also have good customer service skills to assist the customers with their needs. Bike Service Shop Technician: The Bike Service Shop Technician is in charge of assembling and maintaining the store equipment. Examples of these are bicycles, snowboards, baseball gloves, baseball bats, golf clubs, and paintball markers. Refilling CO2 tanks for paintball markers is also part of his tasks. He must also be willing to lift heavy weights and stand for long hours. Building Maintenance Staff: The Building Maintenance Staff maintains the interior and exterior of the building. He must be knowledgeable in painting, repairing, and doing general construction in the building. Also, the building maintenance must be able to identify unsafe conditions within the premises of the company. Cashier: The Cashier is in charge of greeting each customer that enters the store. He must make a lasting impression so that each client will have an awesome shopping experience. The cashier is responsible for receiving the payment and making sure that the cash is liquidated properly. Furthermore, the cashier must have a good communication and customer service skills. Delivery Driver: The Delivery Driver is responsible for delivering the products of the company on the assigned location. He must also be able to set-up purchased equipment from the company. The Delivery Driver is also expected to answer general questions from partners and customers. Sales Expert: Sales Experts are in charge of selling products to the customers. They must be able to know all the items that the company offers and answer their questions as well. Sales Experts receive specialized training to make them competitive in the field. Specialty Shop Manager: The Specialty Shop Manager selects the product to be displayed in the shop. He also manages the inventory, creates product displays, and builds lasting relationships with his teammates plus the customers. He must have good communication skills and leadership skills too. Store Leader: The Store Leader manages the overall transaction of the store. He must create plans to drive sales and profit in the business. He must manage his team so they can perform their duties accordingly. Lastly, Store Leaders must be a good example to other workers to achieve success. Support: The Support staff is responsible for assisting the customers in buying the products they are looking for. With this, the support staff must know all the products offered by the company. Also, he must be able to get the products from the delivery truck up to the shelves in the store. Furthermore, he must handle carefully each item. Interested applicants can make their resume, send it to the company, and wait for their notification. They will review your application and invite you for an interview if you passed their qualification. You can apply online by checking their official website. Aside from online application, you can visit the nearest store and hand in your resume and cover letter. If you wish to submit your application online, you can sign in first via using your email address. Next, fill in the application form provided completely. Make sure that you don’t skip any item. In making your resume, see to it that you indicate your personal information, educational background, and work experience. Make your resume as comprehensive as possible. Lastly, wait for a message from the hiring team. If you are invited for an interview, make sure to dress nicely. Answer all of their questions honestly and spontaneously. Working at the company is fun and exciting. You get to meet new people every day. Each worker has a chance to grow professionally. Also, the perks are great, unlike other companies. Also, the company supports various associations across America. Some of which are the United Way, Salvation Army, Special Olympics, American Cancer Society, Boy Scouts, Girl Scouts, Ducks Unlimited, Pheasants Forever, Rocky Mountain Elk Foundation, and Whitetails Unlimited. Meanwhile, the company is known for its sporting goods. Some of their products are cycling apparel, bikes, cycling footwear, helmets, trailers and strollers, and other accessories. Their products are suitable for both men and women of all ages. Finally, the company gives back to the community as part of their corporate social responsibility. They conduct activities which promote athletics, education, social services, health, and environmental conservation. 1 How old do you have to be to work at Scheels?